2009. 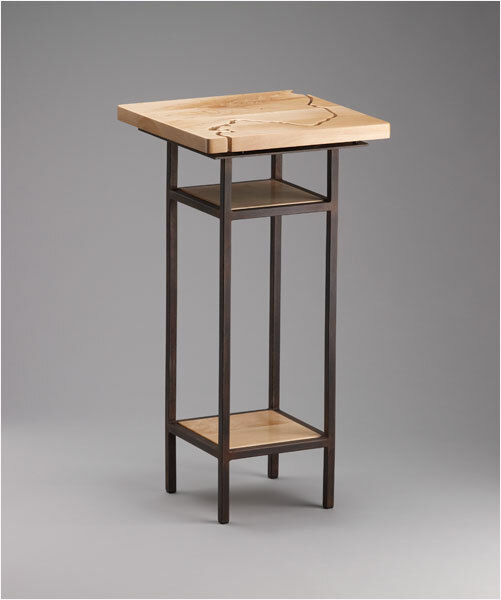 Maple with patinated steel. 28"H x 14 1/4"W x 14 1/4"D.